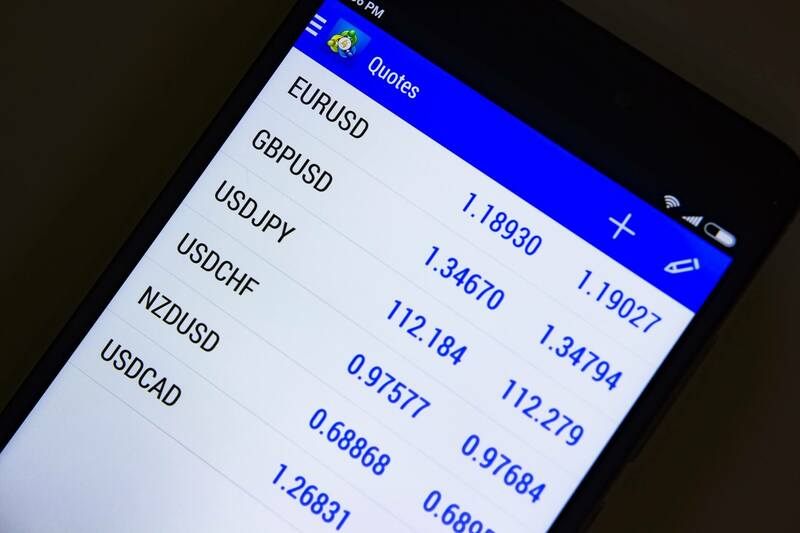 The MetaTrader 4 forex trading platform is one of the most popular in the world, but that’s not because of its ease of use. What’s good about it is the wealth of functionality it offers: The longer you trade, the more you will learn about new forex indicators or techniques, and then, sure enough, you’ll find something to help you with what you’ve learned on Metatrader 4. The first step is to download the platform and to install it in the usual way. This can be done here. But your broker may offer you a download on the broker’s site, and this is worth starting with because the forex broker often tweaks MetaTrader 4 in specific ways that may be useful to you. We recommend that you start with the desktop version in which you will find it easier to locate features you need – the mobile version is tops, too, but, necessarily, a lot smaller. The Accounts prompt on the navigator permits you to start with various types of accounts. You can quickly open a demo account without even linking up to a broker. Or you can input the specifics of the account your broker has provided into a live account: You will need to choose between an existing live account or a new account. You will have to add your forex account data for authorization, and then log in. It is a good idea at this point to update the version you’ve downloaded to make sure you have all the bells and whistles. The user should now select the features he/she wishes to adjust in the Client Terminal. Some of these will be obvious, i.e., you can send email from the terminal at the prompt indicated. If you have downloaded your platform from the broker, other settings like that of the “Server” will have been configured for you. But you will want to have a close look at the charts section – this is where it all starts. You can select the charts you wish to have displayed, and fix the time period (i.e., 5-minute chart, fifteen-minute chart). There are other settings like the Ask-Price level and the amount of bars displayed that you can adjust to your liking. You’ll also want to fix the trading parameters – how new orders are opened, which financial instruments you want to work with, amounts, etc. You can also here choose if you wish to automate your trading, and select which Expert Advisors (automated trading algorithms) you want to work with. You’ll be asked if you want to automate, and offered specific options, like a profile change that will disable it. In the terminal is the “trade” tab, that lets you see open orders and all the trade’s activity. Once you’ve become familiar with the terminal options, you can get to work with how to trade. By default, MT4 opens with four chart windows, each representing a different currency pair. At the top of that screen, you’ll find the toolbars, where much of what you’ll apply to your trades is found. Below the toolbars, on the left side of the screen, there is a window called “Market Watch,” that allows you to observe other market activity. By clicking the ‘Tick Charts’ option on that window, you can see the current price activity of any of these pairs. · If you look closely at the toolbar, you’ll see a “New Order” prompt – just click on that. Hopefully, you’ll have planned your strategy carefully before you click the new order to open. You’ll find the button to stop the trade in the same place you found the one to start it. The open order can be viewed in the “Terminal” window by clicking on the “Trade” tab. Explore the Metatrader 4 terminal, examine things you’ve not seen before, and, as you learn new forex trading strategies, find the support for them there.